It's a Potato Twister! Aka the Best Way to Eat Fried Potatoes! It’s a Potato Twister! Aka the Best Way to Eat Fried Potatoes! 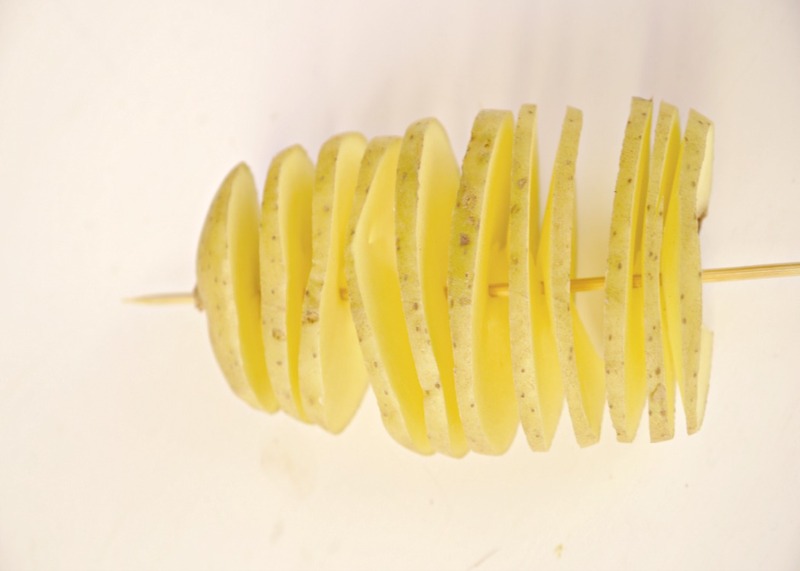 I first saw a Potato Twister, they looked so intriguing and delicious and I had to have one. They were $12 a piece. My brother-in-law spent over $50 treating our group to a Potato Twister each when we went out with him. Whoever figured out how to make one potato into something that people would willingly fork over $12 for is just brilliant. Now I will admit they were, indeed, tasty. But the amount we paid for them just did not sit right with me. So, I had to figure out how to make them for myself. It can’t be that difficult, right? And if it can be as impressive as my group thought it was at the rodeo all those years ago, then it would be the perfect side dish to make for company! So, off to the kitchen to make the magic happen. Here is what I came up with! Let rest on paper towel to get rid of excess oil. You just cannot beat a perfectly fried potato. This fun presentation is sure to be a crowd pleaser for kids’ parties, backyard bashes and adult get-togethers alike. 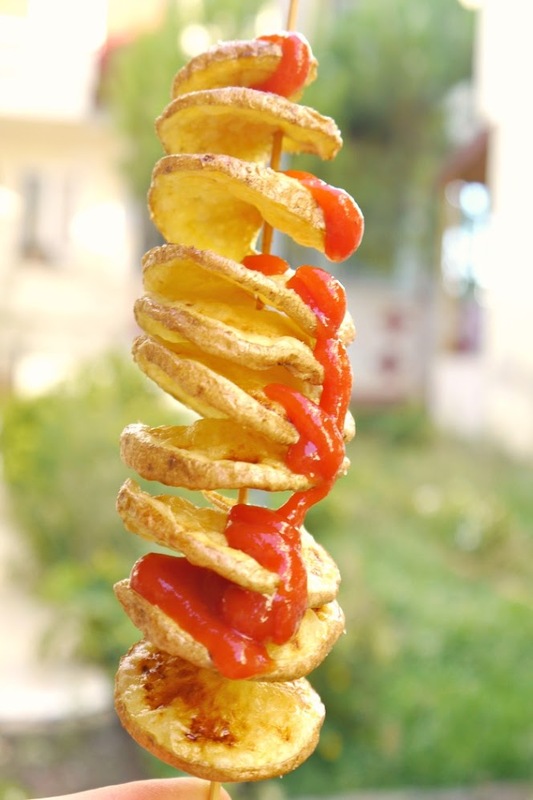 Or hey, if you just want to spice up a regular ol’ weeknight dinner, your family will surely be thrilled by this the Potato Twister as a side dish! It goes with so many meals so well. Use your fryer while it’s hot and make up some fried chicken or fish. Or, balance it out with a grilled meat! From hamburgers and hot dogs to grilled steak, salmon or chicken–this side will be a welcomed addition.